Done with your new year’s resolutions? That’s good. Now you must make sure you achieve your goals this year. Planning is good, but focus your energies towards execution. Your 99% time should be spent on actually doing it, and only 1% time on planning it. As the year end approached, you must have been excited about new year’s resolutions. You must have felt encouraged and motivated, and had list down what you achieve next year. It all looks good on paper. But as the days pass, the new year list is left somewhere behind, and you never touch it again. Years pass, and your targets remain far from achieving. And i bet, 95% of us who did this, have already lost the tempo. It has started to look like nothing special anymore. New year’s resolutions are good if you consistently revisit, on a regular basis, and make amendments along the way as you set yourself on the path to achieve it. If they need to be revisited regularly, these are not just new year’s resolutions. If you are serious about achieving your targets and making the real difference, you need to do the things differently. What should you actually do to achieve your goals? Follow what the successful entrepreneurs are doing. By following them, you have the higher chance of achieving your goals. Once you start on that path, it will become your habit, and you will rarely want to move away from it. This will eventually result in growing yourself, and achieving most of your goals. It is completely fine to have a your new year’s resolution. Write it down. Be clear about what you want to achieve, when you want to achieve, and how you want to achieve it. Don’t hurry. You should consider many years in the future as well. See yourself in 3 years from now. Where you want to be in 10 years? Have a purpose in life. 2. Write Your Goals Daily. The most important thing is to have a system to revisit it daily, and work on it without getting bored. Grant Cardone writes his goals daily before he gets to bed and after he wakes up. Com Mirza suggests writing goals 5 times a day in an article at entrepreneur. Brian Tacy insists on a daily to-do list of 3 things you want to do that day. You may choose some other way. 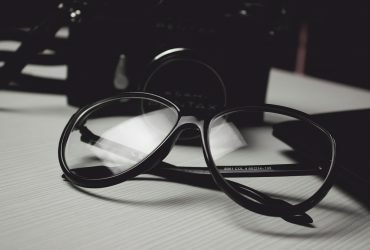 The purpose is to be connected with the goals and tasks you intend to complete. Writing them daily will keep you focused. You goals will mature and may change a little with time, but that’s fine. You will know what you need the change. For example, you will start with $100 goal. 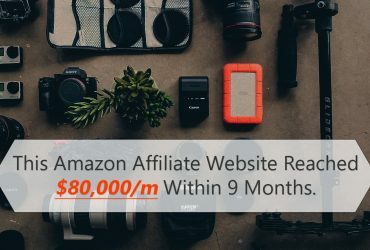 With time, it will be increased to $100,000, and then $1 million. You actions will have the similar change. At the end you will have done things you will be proud of. Make this a habit, and you will never go off-track. The most important thing in your quest towards success is to put some time for yourself. If you spend time on self development, your other areas will also improve. Hal Elrod’s book “The Miracle Morning” is one of the best books you will read. Also check out his article on morning routine. 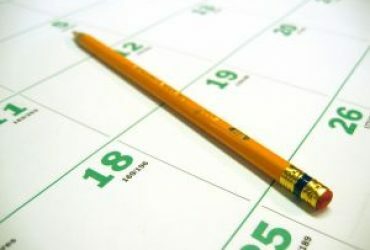 You schedule might not allow early time. Especially if you’re married with kids. But wake up 1 hour earlier than your routine wake up time. Utilize that 1 hour to do you have always wanted to do but found no time for it. Make no excuses. You need to work on your Mind, Body, and Soul simultaneously. This will improve your relationship with your family, improve your health, and keep you relaxed and focused. Don’t forget, good physical health will lead you to good mental health. Grant Cardon insists, you need to be best in all aspects of your life. Be it health, wealth, family, spirituality, or love. Visualize.. You get what you have in your mind. You should visualize where you want to be. Visualize as if you already have that. If you can, watch the movie “The Pursuit of Happyness”. Surround yourself with the successful people. People with negativity in life will make you feel down, negative, and discouraged. Avoid those people. Be with people with similar goals in mind. Read.. Make it a habit. Even if you read for 10 minutes a day, that’s great. Most top entrepreneurs we have in this world today have 2 things in common. They wake up early, and they read books! 4. Act Massive. Get Things Done. Execute, with Persistence. Planning and thinking about success have never made anyone successful. Visualizing success and imagining your goals achieve helps, but it still needs work to reach there. You actually need to ACT.. DO IT! Even if it’s one little thing. Grant Cardone’s 10X Rule is the book you should read. Multiply all your goals with 10. Try to achieve the 10x of all your goals. Increase your actions by 10x. The upside is that even if you fall short of it, you will have done more than you actually intended to do. 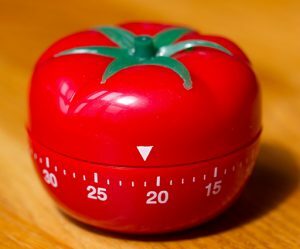 Use Pomodoro Technique for highly focused, no distractions work. A small kitchen timer or a Free smartphone app can do the job. This is the best thing I have ever used when it comes to getting things done. Remember, the 1st pomodoro session will be difficult. But as soon as you get through it, you will be charged up enough to take on the next session. You will want more. And you will love it. Imagine doing the 10-12 extremely focused sessions. You will have done most of the day’s work already. 5. Stay Motivated and Obsessed. Staying motivated enough to doing things persistently is hard. You must have a system that will keep you going. The morning routine, revisiting your goals, and working out will help you start the day. Reading books and following blogs in your industry will help you get going. You might also need more doses of motivation. Follow people like Grant Cardone, Gary Vaynerchuk, Brian Tacy, and Tony Robbins on Facebook, Twitter, Instagram, and Snapchat. They share great motivational stuff. Subscribe to some motivational podcasts, youtube channels, or listen to the audio books. Some people find it in the nature. Go out and enjoy the beautiful world. Get inspiration from it and get back to work. Be Obsessed. You need to continuously working towards your goal. Do this as if you are underwater, and you need the oxygen to survive. Need this that bad. Desperation and Desire will keep you wanting more. Be Obsessed or Be Average by Grant Cardone is also a good read. Be clear, and dump the negativity. Be grateful for what you have, and use your talents and resources to achieve what you want. You can do it! Stay Positive! You may lose, but failure is not a loss. You will learn things out of it. After all, what is it to lose? You can always start again. Track your performance. Or you will never know when you got out of track. This will help you redefine goals, and make necessary changes to the way you are working if the results are not as expected. Google Calendar, Asana, Evernote, and Trello are the tools that will help you organize and track your actions.